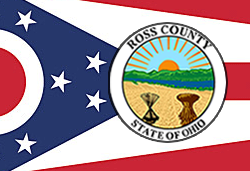 Looking for a job in Ross County Ohio? The following guide provides a listing of Ross County top employers to include local government employment portals, healthcare job links, and a variety of schools that provide great teaching and support staff careers. Ross County periodically posts job openings on their website. During this review there had been open positions for Library Youth Services Manager, Peace Officer, and Corrections Officer. Visit their various departments for current listings. On the City of Chillicothe home page there are employment listings posted. During review there were open positions available and applications for Transit Director, City Engineer, and City Firefighter. The Adena Health System is a nearly 2,800-employee, three-hospital system, that serves more than a half-million people living in 12 counties. A survey of open positions available had included Registered Dietitian Licensed, Certified Pharmacy Technician, Service Attendant Food & Nutrition, Director Benefits and Compensation Human Resources, Care Management Licensed Social Worker, Physical Therapist, Radiation Therapy Technologist, Staff Nurse RN, Staff Nurse RN Float Pool, Occupational Therapist, Medical Assistant (Casual), Medical Assistant or LPN, Staff Nurse RN Pain Management, Staff Nurse RN Outpatient, Staff Nurse RN Surgery, Care Management Licensed Social Worker, Phlebotomist, Anesthesia Tech, Staff Nurse RN Post Anesthesia Care Unit, Surgical Technician, Pathology Assistant, Housekeeper, Patient Care Associate, ED Technician, Certified Occupational Therapy Assistant, Nurse Navigator, Patient Access Representative, Medical Assistant or LPN Pulmonology & Critical Care, Phlebotomist (Casual) Lab, Medical Assistant or LPN OB/GYN, Certified Registered Medical Assistant (Casual) Medical Oncology Provider, LPN Bone and Joint, Medical Assistant Cancer Care, Psychologist, Registered CT Technologist, Staff Nurse RN Labor & Delivery, Telemetry Monitor Tech, Staff Sonographer, Certified RN First Assistant, Polysomnography Technologist, Speech Pathologist (Home Care), Speech Pathologist AGMC (Casual), Registered Mammographer, Occupational Therapist, and Physical Therapist Assistant (Casual). Chillicothe VA Medical Center provides challenging and rewarding careers for healthcare professionals with great benefits and advancement opportunities. The VA is a technologically advanced healthcare system driven by a team of compassionate professionals with the aim of providing veterans and their families the best possible care. Nurses and Mental Health Professionals will find there are job opportunities available throughout the country. Signature HealthCARE is a healthcare and rehabilitation company with 125 locations in 11 states and nearly 18,000 employees. During this review there were open positions in Chillicothe for RN Registered Nurse, LPN Licensed Practical Nurse, STNA (State Tested Nursing Assistant), PRN Physical Therapy Assistant Chillicothe, PRN Occupational Therapist Chillicothe, PRN Speech Language Pathologist, FT Dietary Aide at Chillicothe, RN Registered Nurse for SHC of Chillicothe, and Hospitality Aide. National Church Residences has dedicated a proven track record of excellence in providing homes and services to seniors, enabling them to live healthier and more satisfying lives. Our residents and clients include seniors of all income levels. Here you may find careers such as $250 sign on bonus! PT Charge Nurse 7pm-7am, $500 Sign On Bonus! State Tested Nursing Assistant (STNA) FT, $500 sign on bonus! Registered Nurse (RN), $500 sign on bonus!! Licensed Practical Nurse (LPN), FT Cook, Home Health Aide, Homemaker Companion needed for Ross County all shifts, PRN Charge Nurse, and more. The Adena Local School District is seeking qualified substitute bus drivers, cooks and custodians. Applicants should have a high school diploma, be at least 21 years of age, and have current FBI/BCI background checks. Chillicothe City School District was hiring on this review date. Positions included Lunchroom Worker and Spanish Teacher. Monitor their site for upcoming teaching jobs and support staff positions. Paint Valley Local School District posts certified, classified, and various support staff positions when vacancies exist. Union-Scioto Local School District had been hiring for the position of Success by Six Summer Program Teacher. Visit their site for current listings. Zane Trace Local School District provides employment applications for Non-Teaching, Certified, and Supplemental Staff. Pickaway-Ross Career and Technology Center had a number of open positions on this review date. Jobs found included Enrollment Student Services Technician/Specialist, Industrial_Skilled Trades Instructors, LPN Program Instructors, Maintenance Worker, Medical Assistant Instructor, Personal Development Instructor, STNA Instructors, and Substitute Workers. Circleville City School District was hiring for the position of Instructional Aide on this review date. Check for new listings. Ohio University Chillicothe hires faculty and support staff periodically. The Local Jobs Page for the Chillicothe Ross Chamber of Commerce is an excellent resource. During review a great variety of job openings were found including Labor Jobs, Controls Engineer, Licensed Low Pressure Boiler Operator, Adult Education Enrollment Student Services Technician / Specialist, Punch Press Set Up Technician, STNA, CNA, HHA, Construction Superintendent, Quality Engineer, Direct Support Professional, Housekeeping Jobs, Dispatcher, General Warehouse Workers, Maintenance Technician, Hotel Sales Manager, Sit down forklift operator, Direct Care Staff, Personal Assistant, Youth Services Manager, General Laborers, Registered Nurse, Clinical Supervisor, Case Manager, Office Administrator, Packaging Associates, Shipping Clerk, PT Bus Operator, Veterinary Technician, Cleaner, and Equipment Operator. Craigslist Chillicothe Classifieds Help Wanted may include job openings such as Painter, Courier, Driver, Route Driver, Retail Jobs, Home Health Aide HHA, Automotive Technicians, Apartment Maintenance, Custodial Jobs, Sales Representative, Receptionist, Administrative Assistant, Grounds Maintenance, Dispatcher, Work From Home Jobs, Truck Driver, Caregiver, Mechanic, Security Officer, Entry Level Jobs, Food Services Jobs, Office Assistant, Maintenance Tech, and more.